Around 25.8 million tonnes of plastic waste is generated in Europe every year with less than 30% collected for recycling. Plastic production and the incineration of plastic waste give rise globally to approximately 400 million tonnes of COշ a year. Global production of plastics has increased twentyfold since the 1960s, reaching 322 million tonnes in 2015. It is expected to double again over the next 20 years. 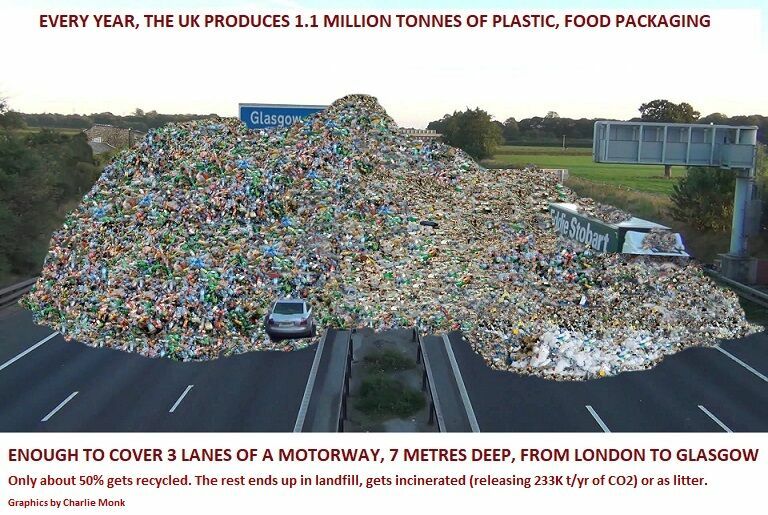 The UK currently produces around 1.1 million tonnes of plastic food packaging, enough to cover 3 lanes of a motorway, 7 metres deep, from London to Glasgow. Less than 50% gets recycled; the rest ends up in landfill, litters our countryside and beaches or gets burnt, releasing around 233,000 tonnes of COշ. Under current UK legislation, just 10% of the cost of recycling is borne by packaging manufacturers. In Germany it’s 100%. In the UK, our recycling rate is less than 50%. In Germany, it’s 98%. Very large quantities of plastic waste leak into the environment from sources both on land and at sea, generating significant economic and environmental damage. 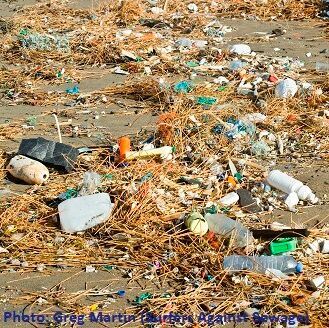 It is estimated that plastic accounts for 80% of marine litter. This fact is exacerbated by the increasing amount of plastic waste generated each year and is also fuelled by the growing consumption of ‘single-use’ plastics. I.e. packaging or other consumer products that are thrown away after one brief use, are rarely recycled and prone to being littered. Politicians and manufacturers are finally starting to understand impact and change but the reality is they are still dragging their heels. The ‘European Strategy for Plastics in a Circular Economy’ aspires to all plastic packaging being recyclable by 2030. Demand for recycled plastic today accounts for just 6% of plastic demand in Europe. The UK Plastics Pact pledges that by 2025 100% of plastic packaging will be reusable, recyclable or compostable. Meanwhile our UK government plans to achieve zero avoidable waste by 2050. Bishops Castle launched the ‘Fight the Plastic’ campaign in February this year in response to David Attenborough’s compelling Blue Planet series which highlighted plastic pollution and the devastating impact on world oceans. As a rural town with a population of just 1,800, we are a strong and friendly community of farmers, forestry workers, musicians, artists, writers and poets with many of us looking for a more sustainable lifestyle. Our dedicated and passionate Fight the Plastic team of 17 locals operate under the umbrella of the Bishop's Castle Community Partnership, a registered charity organisation, with environmentalist David Luckhurst spearheading the project. Dave comments “This is the perfect climate to make changes. We want our ambitious 12 month campaign to see success and be championed by other communities. Our aim is to reduce the unnecessary use of plastics and the growing plastic leakage into our environment. We won’t have a world without plastic, but we can have a world in which we use less”. Fight the Plastic is banging the drum. Our underlying theme is the ‘The Good, The Bad and The Ugly’. Even though we have registered to become a Plastic-Free Community under the ‘Surfers against Sewage’ scheme, we are not going to get rid of all plastics yet.  Some are essential for now, and recyclable – ‘The Good’. ‘The Bad’ are not essential, are single-use, excessive and not recyclable. ‘The Ugly’ are the littered plastics which look Ugly, break down in time into smaller pieces and wash to the sea damaging or killing marine life. Did you know that a third of all cod and haddock around the UK coasts contain plastic! As a town, we’re already making good progress with many traders starting to switch to non-plastic packaging. Some are nearly plastic-free already! Our town’s Co-op is really supportive and working hard to reduce their use of plastic. 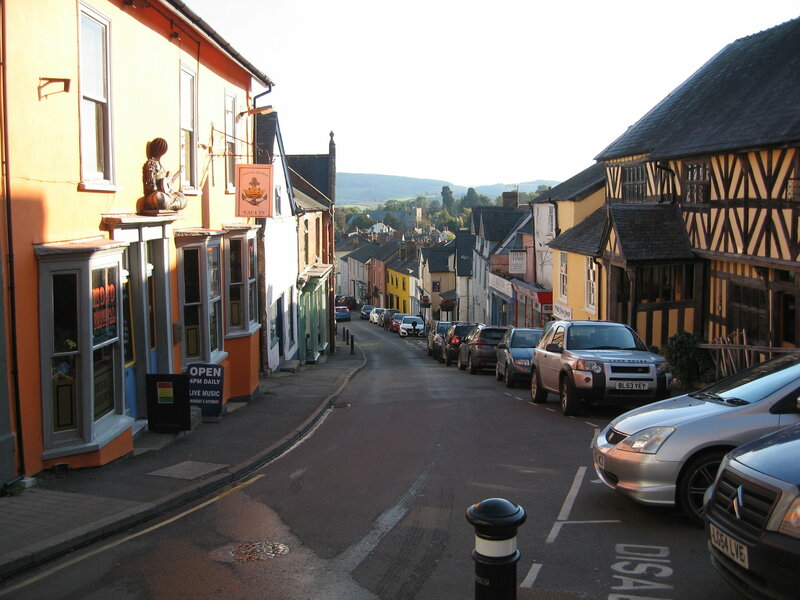 There are 16 traders in and around Bishops Castle on the Refill, mobile app: free water bottle re-fills for tourists. 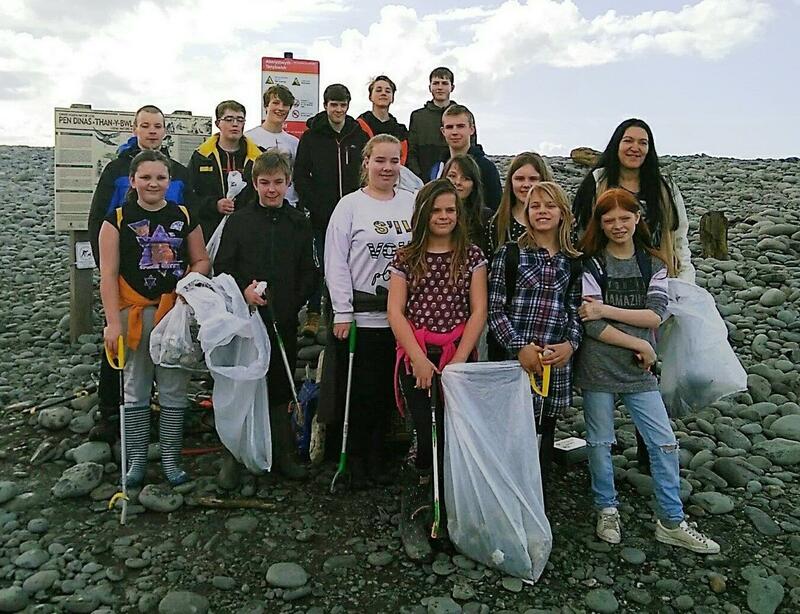 Students from our Community College have been actively involved with beach cleans, surveys and their own campus version of ‘Fight the Plastic’. We now have a monthly litter picking group in town which, at a recent ‘Mass Litter Pick’ collected a dumpy bag (1m3) of litter in one day. Work with partners including the general public, council, retail, refuse, packaging, politicians and schools to reduce single use plastic, support biodegradable alternatives, challenge mass disposability and encourage demand and use of recycled plastics. Promote the need to reduce contamination and improve the quality of materials collected for recycling. Fight for legislation to cover all unnecessary single-use plastics. To deliver our campaign, ‘Fight the Plastic’ needs to employ a project co-ordinator who will lead the campaign upward and outward, share our ideas and experiences with other communities and help them to Fight the Plastic too. 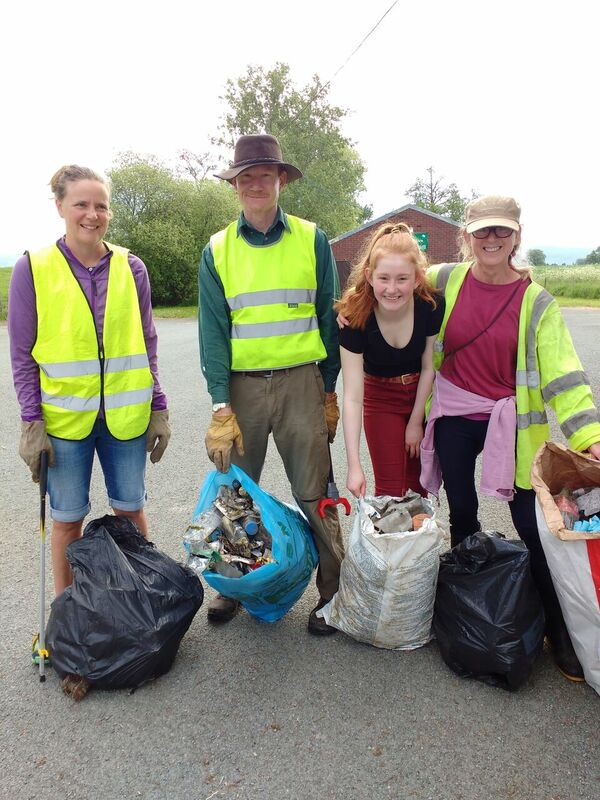 We need funding to support those outreach activities: a website presence; communication via social media, display materials and information literature as well as starter packs for businesses; Hi-vis jackets and tools for litter picking plus transportation to beach or river cleans. We need to take our message to a national level for supermarkets, packaging manufacturers and politicians. Without changes in legislation, Single-Use-Plastics (SUPs) will continue to dominate our supermarket shelves, fill our wheelie bins and landfills, add even more COշ to the atmosphere and blight our countryside and seas.